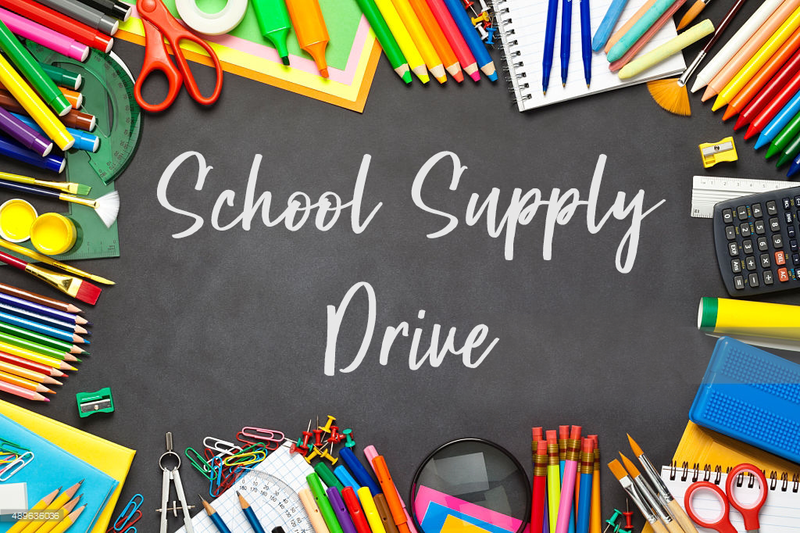 Starting Monday July 2nd, we will be collecting school supplies to help underprivileged kids in the area start the school year with the tools they need to succeed. Last year we had an amazing turnout with over 50 backpacks STUFFED with school supplies! Let’s see if this year we can top it and help even more local families with children in need. We’ll be distributing all donated items on Saturday August 25th. So please be sure drop off anything you'd like to contribute before then. Suggested items: construction paper, spiral notebooks, composition books, index cards, blue or black pens, #2 pencils, colored pencils, erasers, pencil sharpeners, pencil cases, colored markers, crayons, highlighters, 3-ring 2" binders, pocket folders, report covers, rulers, protractors, glue sticks, scissors, tape, and calculators.